Myanmar's Yangon city police is stepping up fight against human-trafficking by collecting personal information of passengers leaving Yangon through highway bus terminals, the official Global New Light of Myanmar reported Friday. The data collection process will be launched starting next month and selected police members will be trained, Police Major Myo Thein of Anti-Trafficking in Persons Division in Yangon was quoted as saying. The new plan of gathering evidence helps fight against human trafficking, he said. 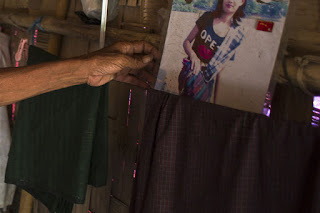 According to the annual human-trafficking report, Myanmar women have been the target of such cases destined to neighboring countries for forced marriage, forced labor, forced adoption, forced prostitution, child begging and the removal of organs. Myanmar police force is making continuous efforts to combat human-trafficking as a military type operation nationwide. According to the authorities, Myanmar exposed a total of 208 cross-border human-trafficking cases in the country in 2016-17, in which 351 victims including 285 women were being trafficked, while 654 traffickers were arrested. Vice President Henry Van Thio called for effective actions to fight against human-trafficking. He also stressed the need to re-write the Anti-Human Trafficking in Persons Law. Myanmar's anti-trafficking program also includes public talks to raise public awareness against human trafficking. The authorities have called for public participation in fighting human-trafficking in the country.